Guru Mann is a very popular Indian Fitness Trainer and YouTube Sensation. Besides he is also a Model, Motivational Speaker, and Entrepreneur. He is a certified dietician and fitness trainer. He is the founder and CEO of GMSA Fitness Academy a government approved fitness academy and GM Nutrition which is a nutrition brand. He is also an author and has written several books about fitness and nutrition. Let us know more about Guru Mann. His full name is Guru Singh Mann and he is Advanced Fitness Trainer and also a successful Entrepreneur. He was born on 26 August 1981 in a Punjabi family and his age is 37 years old (as in 2018). He is American by the nationality and his zodiac sign is Virgo. 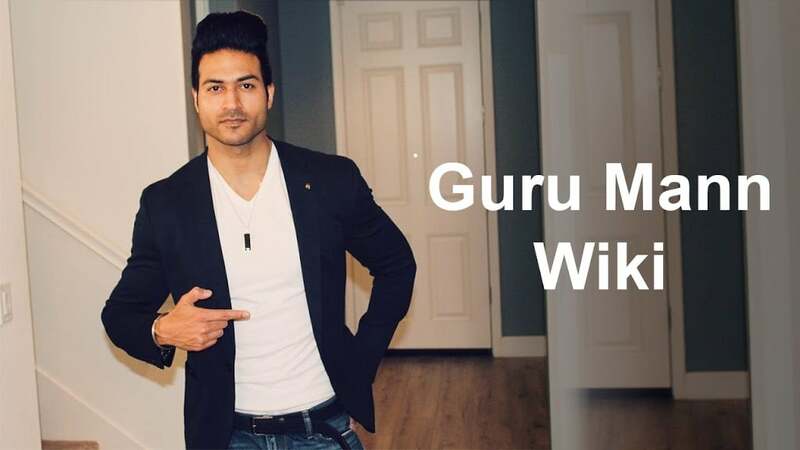 Guru’s father was a farmer who died in 2018 and his mother is a housewife she lives in the United States with Guru Mann. He got a beautiful wife her name is Harman Mann and he was blessed with a beautiful daughter born in December 2018. He gave her the name Zia Mann. His estimated net worth is approximately 4 to 5 Crore INR ₹. Guru began his career in December 1997. At that time he holds a bachelor degree from California State University in Biomechanics / Kinesiology – Human Kinetics and BS Exercise & Sports Science / Nutrition Science. At that time he was too skinny and then he got a desire to get a fit body which motivated him to choose this field. As of now since the last 19 years, he has been working and providing training for drug-free fitness models, helping athletes build strength with nutrition. He also many athletes in their fitness photo shoots. He also worked and helped patients suffering from Cholesterol, Liver Disease, Arthritis, Stomach cancer, Cervical Cancer, Thyroid, Diabetes Arthritis Blood Pressure, Prostate cancer, Liver Cancer, etc. for their nutritional front. He has many fitness and nutrition professional certifications. He loves what he is doing and his past skinny look which he was having before coming in the field of fitness helps him to keep himself motivated. He loves and enjoys his work because it helps other people achieve their goals of fitness. He loves making his body take on a denser and athletic shape. He spread the knowledge and information related to health and fitness like about nutrition schedules, exercise regimes, workout plans for various body types and etc. information through his youtube channel, facebook and also through other social media networks. He has even collaborated with T – Series in 2013 for launching fitness videos. He has a dream of seeing India Fit and Healthy and for that, he is actively working on his “Mission India Fit“. He is inspired a lot by Arnold Schwarzenegger (a Hollywood actor) to get a similar body. Guru has published several books on fitness. He is founder and CEO of GM Nutrition. He owns many cars and his car collection includes Mercedes, Porsche, Audi and etc. He also makes different videos and case studies on how people transform their bodies into a fit body and from that one of his popular video is embedded below. He has more than 1.5 million plus subscribers on his main youtube channel “Guru Mann Fitness” and 1.2 million followers on his Instagram account. If you want to know about how his house is? then check out the video/vlog embedded below. These were the latest information about Guru Mann Wiki, Age, Biography, Family, Wife, Net Worth & More. As soon as we get more details, we will update this information accordingly. You may share your thoughts with us by leaving a comment below. Thank You!